Most people stream movies now, but that data still gets delivered to your device from somewhere else. It has a physical address, and that address might not be as far away as you think. The idea of “cyberspace” makes it seem as if the internet is simultaneously everywhere and nowhere. But, in reality, distinct places mark the sites where the internet “is” and “isn’t.” Data centers are places where the internet definitely resides and one of the world’s largest — Digital Realty’s 350 E. Cermak Rd. location — is in Chicago. Data centers are in many ways akin to Netflix’s distribution centers: they store, safeguard and send information that you can then receive anywhere on the planet — or even in outer space — so long as there’s a path to get the information from its location to yours. 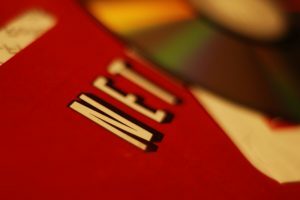 Netflix, originally founded as a mail-order DVD rental business, now delivers its content via internet networks (Photo by Mark Bonica/FLICKR under CC-BY 2.0). Similar to how Netflix optimizes the path your DVD travels by operating distribution centers across the country, a multitude of internet infrastructure companies — such as Digital Realty — work together to optimize the path your streaming content travels. Chicago’s population, central geography, and access to waterways and railroads help make it a hub not only for traditional transportation but also for internet infrastructure. “Since the internet is global, data centers tend to be placed strategically on main telecommunication lines. Chicago fits the bill great for that,” said Sanjay Krishnan, assistant professor of computer science at the University of Chicago. Digital Realty, the largest wholesale data center provider in the world, according to Data Center Knowledge, operates five facilities in and around Chicago, including the metro area’s largest one at the Cermak Road location. At 1.13 million square feet and an energy capacity of 109,000 kilowatts, 350 Cermak can handle data storage at an impressive scale, and its proximity to downtown gives it an advantage over other data centers in the Chicago area. Rafal Rak, vice president of portfolio management for Digital Realty, said 350 Cermak is the “most interconnected building in the Midwest,” with more than 70 fiber providers and over 100 content providers. Ritsema noted that for data-heavy entities like the Chicago Mercantile Exchange, where time is money and every millisecond matters, having a data center with such extensive capacity and connectivity close to where transactions happen offers a significant edge. The data center at 350 Cermak, also called a colocation center or carrier hotel, serves a mix of wholesale and retail customers who rent space there — and space is in high demand, with the occupancy rate currently at 95 percent. Server cabinets at Digital Realty’s 350 East Cermak Road colocation data center (Image courtesy of Digital Realty). Customers use the space to set up their own servers — industrial-size computers — which may take up just a single cabinet for smaller customers or a whole floor for larger ones. From there, Digital Realty provides the infrastructure required to run those servers, including electricity and backup power, cooling, fire suppression systems, and round-the-clock physical security. Providing that infrastructure is not cheap, especially considering real estate costs in a metro area like Chicago. But 350 Cermak’s location is still a net positive for Digital Realty, not just for its proximity to end users, but also for its access to large quantities of power and water. It’s also fitting that, in addition to sitting at a geographical intersection of the information highway, the building itself symbolizes one of that highway’s historical junctions. In 1929, R.R. 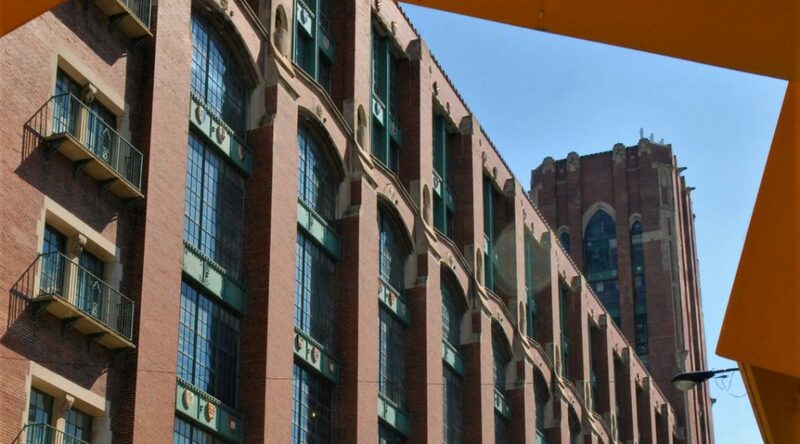 Donnelley & Sons Company completed construction on “‘the largest building in the United States devoted to the production of printing,’” churning out 25,000 books per day according to a description in the University of Chicago’s company archives. It would go on to distribute printed information from publishers such as Yellow Pages, National Geographic Society, Time, J.C. Penney, New Yorker Magazine, Condé Nast, and Sears, Roebuck and Company, before being refitted for telecommunications use in 1999, as reported by Crain’s Chicago Business. While R.R. Donnelley & Sons Company could name-drop its customer list when trying to acquire new business, Digital Realty has to take a more discreet approach. For both security and business reasons, clients often don’t want to publicly disclose where their data is stored. Digital Realty, which brought in $778.3 million in operating revenue last quarter, gets plenty of business in the rapidly growing $26 billion data center industry. But its low profile relative to some of the companies whose data resides within its walls means the company sometimes needs to provide more education to communicate to public officials and community leaders — especially those less technologically literate — the economic value of a data center. “A lot of the misconception around data centers is that they don’t create jobs,” Rak said, noting that while 350 Cermak may not employ the same number of people per square foot as other businesses, it provides additional business for IT equipment and network technicians, engineers and construction workers who service the facility on a daily basis. But for the workers who are essential in keeping 350 Cermak online and customers who trust it to safely store and deliver their data to users across the Midwest, there are no misconceptions about the value of this crucial corner of the internet.